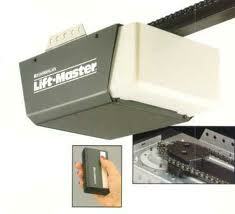 Choosing us for garage door opener installation in Texas City is simply the right thing to do. You won’t find a better service company for the doors on your garage. You may call that bragging, we call it confidence. We trust the experience and skills we bring to every job. We know how good our techs are. Our crew is trained to provide outstanding garage door opener installation, repair or replacement service. Call and see what we can do for you today. Our experts carry and service all brands of openers. We will install Genie, Liftmaster, and Marantec products. Our inventory is full of these brands. We also carry Sears, Craftsman, and Chamberlain for overhead opener installation service. Our crew members are very detail-oriented. We install all openers with care and precision. For the record, we do more than install a garage door opener. We will install any part for your garage system. We offer outstanding garage door opener repair. Our techs will come out the same day you place the call. Every opener is driven by a motor. The 3 basic types used include the chain, screw, and belt drive motor. Our experts carry and repair all 3. We keep a wide range of replacement parts in our trucks. This makes it feasible for us to administer the best service in the shortest period of time. We will also service cables, tracks, and springs. Call Garage Door Repair Texas City for same day repair service today! If your old opener is not worth fixing, we offer superb garage door opener replacement. Our pros will remove the existing unit and install a new model quickly and accurately. We are devoted to providing the best opener service in town. Choose us for all your Texas City garage door opener installation, repair or replacement needs.